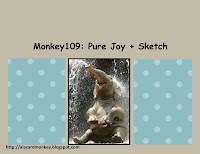 I was invited to play along this week at A La Card Monkey and I did so happily. I was a bit tight on time but thought I'd try something I don't usually do- popping pastels. 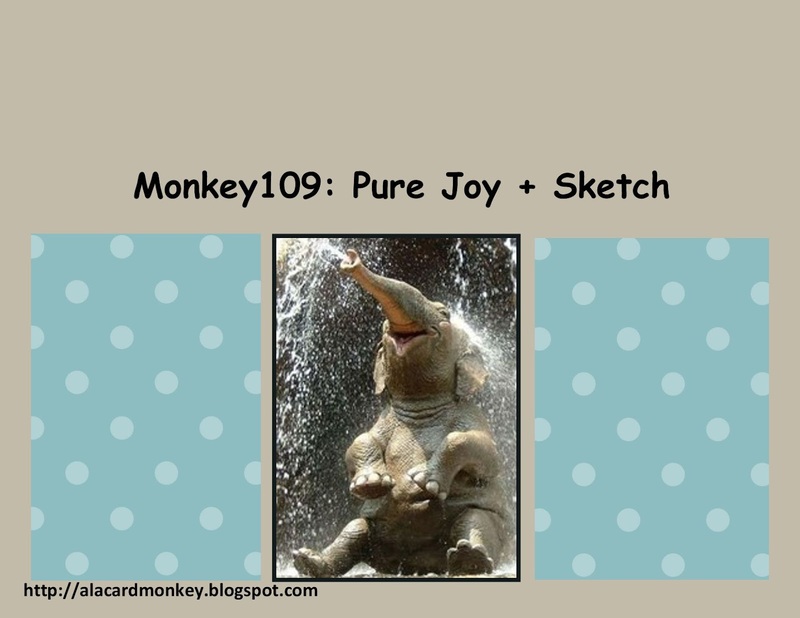 The challenge was a sketch + theme of "joy". The time constraint meant that I didn't have a chance to mull it over much so I went a bit obvious on the "joy" portion of the challenge and that lead me into the colors and general look. Beautiful creation, I don't think I've tried that technique, gosh, you make it beautiful! Really super take on the challenge! I have this stamp & adore what you did with it. So Pretty! I really like how you did the corners of the paper! Love that Technique too! Thanks for being a GD for us this week at A La Card Monkey!! Well , I’m back and I have the rest of today free so as to catch up on everyone’s creations since I have been away refurbishing my old house. I adore reading the blog’s and looking at all the lovely cards and projects, almost as much as making the cards myself. Thank you for your lovely comments on my blog , its so nice to keep in touch. I think this is where I left you, what a great Christmas card , lovely bird and the card is super you followed the sketch so well. I love your camper van card its great ! Your growing in unity Thanks card is beautiful , what great brayering and stamping Jen. I love the twinkle twinkle cards too , infact all your cards are super.